Concrete is the single most important material in modern building and concrete mix proportions are the most important aspects of working with concrete. Without concrete, residential homes and commercial skyscrapers fall, bridges have no anchors, piers or abutments, tunnels, sidewalks, curbs, sewer systems… concrete is — literally — the foundation of development. There are only four fundamental ingredients in concrete: cement, aggregate, sand, and water, but each serves a particular purpose. Understanding the purpose of each ingredient is key to determining what concrete mix proportions are best in a given situation. While very hard, the strength of cured cement does not compare to that of rock and sand. As such, cement is the reason concrete has weak tensile strength and requires rebar. Torque can easily break concrete. That is because concrete relies on the strength of the cement to resist torque. Not only the filling agent that eliminates air pockets and spaces between the individual crushed rocks, sand also has a very high compressive strength. The safest bet for any concrete mix is four-two-one: four parts crushed rock; two parts sand; and one part cement. The four-two-one mix, obviously, has seven parts. Conveniently, when mixing concrete, the ratio can be mixed on any range of scales. That can mean four shovel fulls of rock with two of sand and one of cement; four 5-gallon buckets full of rock, two of sand and one of cement; or four front-end loader buckets full of rock, two sand and one cement. But, the four-two-one mixture is not ideal for every situation. For those projects that require even extreme compressive strength — the floor of a diesel engine mechanic shop, for example, — a greater amount of rock is required: maybe a five-two-one-and-a-half mix. For projects that will not require concrete with high compressive strength, but a great degree of workability — a garden fountain, for example, — more sand and less rock is best: a two-four-one mix possibly. The biggest x-factor in concrete, water is an unpredictable variable. The amount of water required depends on the air temperature outside, the humidity, the amount of direct sunlight, and the concrete mix ratio. 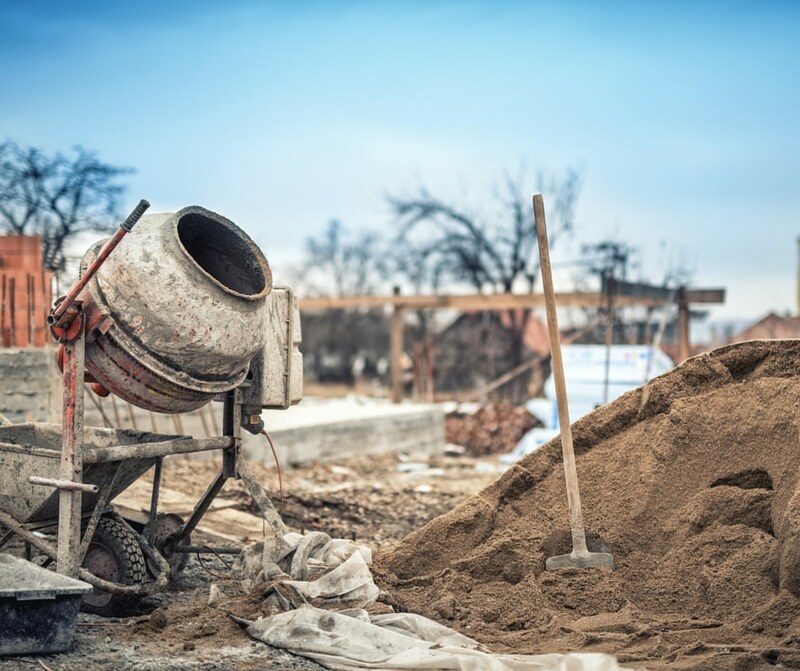 The most important thing to remember about water is that the more there is in concrete mix proportions, the weaker the cement’s cured tensile strength, adhesive strength. Ideally, the least amount of water possible is the best if strong adhesion is a high priority. But, again, sometimes there are situations where where workability is a higher priority than structural integrity and water is the secret to workability. 1) The more rock, the greater the compressive strength of concrete. The more sand, the greater the workability. 2) Adhesion (cement) and compressive strength (rock) are two different factors in the quality of concrete. More cement does not mean more compressive strength; it means more tensile strength. 3) The less water, the stronger the adhesion of cement, but the more difficult it is to work with the concrete. Once you have the concrete mix proportions down to a T, remember to equip yourself with the proper tools for all-out project success. Contact our team at BN Products for a list of concrete tools, or for help with your next project.